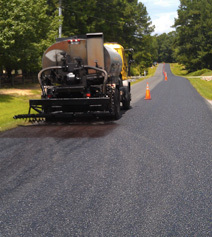 Hammaker East has the products, machinery and experience to handle any type of resurfacing projects, regardless of size, from city streets to country roads, and all points in between. Additionally, resurfacing parking lots is a turnkey operation for us. And, our asphalt products and proven methods of application can make quick work of any parking lot project. Our long history of quality workmanship is why we’re one of the industry leaders.